Chiu Chi Man joined the Hong Kong Jing Mo Association in 1924. Chiu Chi Man first began the study of the Tam Toy style under Cheung Shu Ching, he later followed two other Tam Toy Masters: Miu Yuk Kei and Chiu Lin Wor. Chiu Chi Man also studied under Master Chiu Lin Wor’s top student Bak Lin Sai. Great effort and dedication was put in and Chiu Chi Man went on to further study the Eagle Claw style and Tai Chi within the Jing Mo Association. In 1930 Law Gwong Yuk was instructed by Shanghai Jing Mo Athletic Association to offer training in the Seven Star Mantis Style in Hong Kong. It was through an introduction from Tai Chi Master Ng Po Cheng, that Chiu Chi Man started to study under Law Gwong Yuk. 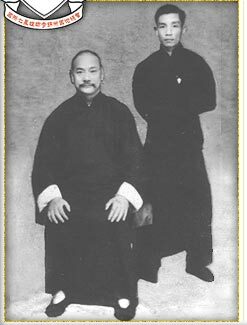 In 1933 Chiu Chi Man was appointed by Law Gwong Yuk to the position of assistant instructor and took full responsibility for the classes in Master Law’s absence. 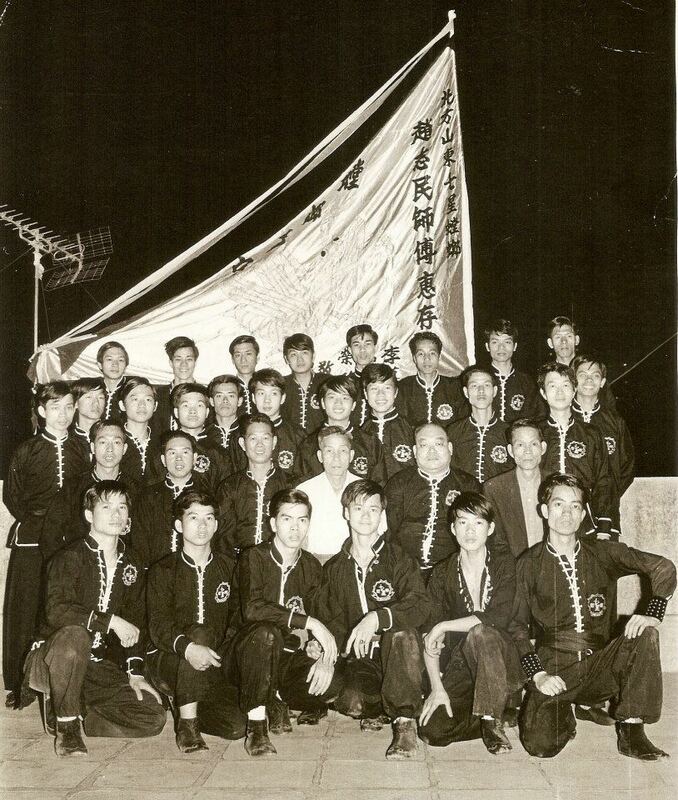 In the same year, he was also nominated as the Department Head Manager of the Chinese Martial Arts division of the Jing Mo Association. 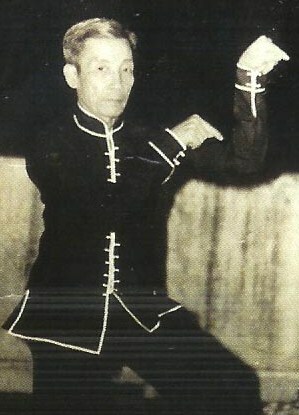 Chiu Chi Man occupied this position for six years and during this time he traveled with Law Gwong Yuk to Gwangjau, China and other neighboring countries to give kung fu demonstrations. executive committee of the Association. Sometime later, the Pacific war broke out and the Man Keung Athletic Association was forced to close down. Law Gwong Yuk returned to his native place in Shantung province, while Chiu Chi Man remained in Hong Kong. Before he left, Law Gwong Yuk passed on 4 of the books given to him by Fan Yuk Dong consisting of: hand forms, weapon forms, Lo Han Gung and herbal medicine. 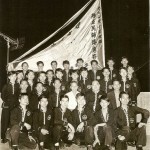 In April 1956 Chiu Chi Man and representatives of other Kung fu styles, formed a visiting demonstration troupe and went to Taiwan where they performed for Chinese troops. They also visited Ping Tung, Kaosung, Tainan, Mt. Phoenix and the Fisherman Islands. Chiu Chi Man never forgot his Master’s lifelong endeavor to promote the Seven Star Praying Mantis Style. Chiu Chi Man has acted as the Chief Instructor of the Law Clansmen Martial Arts Club, Chairman of the Chiu Chi Man Physical Training Club, member of the Development Committee of the Hong Kong Martial Arts Association, permanent superintendent of both the Hong Kong and Kowloon Northern Seven Star Alumni Association and the Lee Kam Wing Martial Arts Gymnasium. Chiu Chi Man has been an outstanding promoter of the Seven Star Praying Mantis Style. His most famous students are Lee Kam Wing and Chiu Cheung Leun. Chiu Chi Man passed away September 2002. He will be sorely missed.